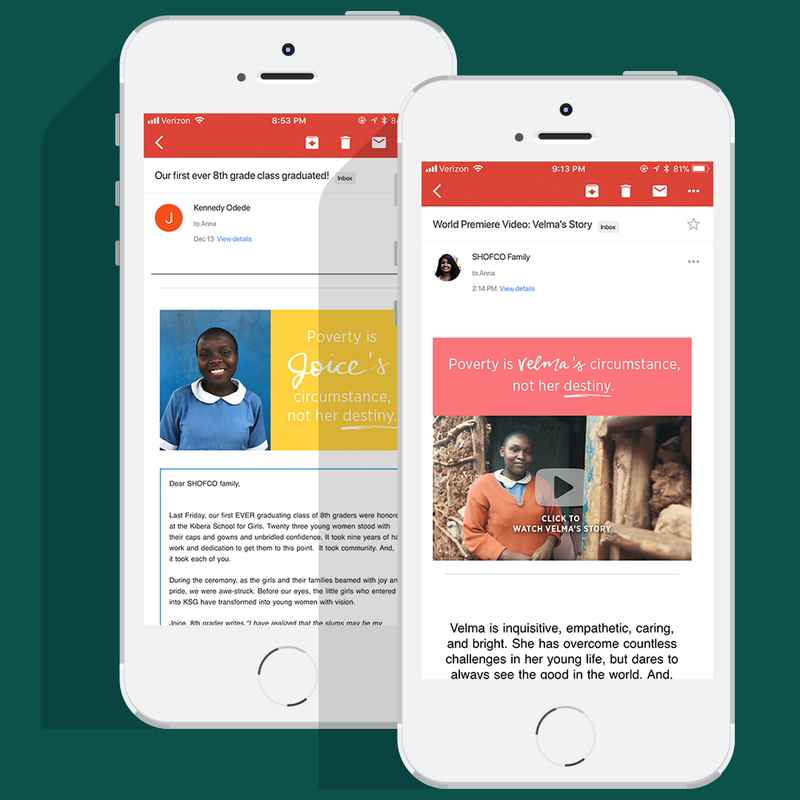 A year-end email campaign in conjunction with a mailed holiday campaign for SHOFCO, a nonprofit based in Nairobi, Kenya. SHOFCO's year-end campaign focused on the young women who graduated from their middle school in December 2017, and who also benefit from their health, WASH, and community services. 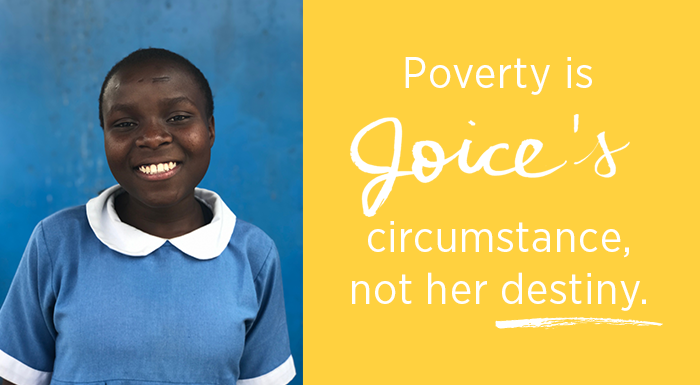 Each of the five emails in the campaign focuses on a different girl, and how SHOFCO helps them break from the cycle of poverty. 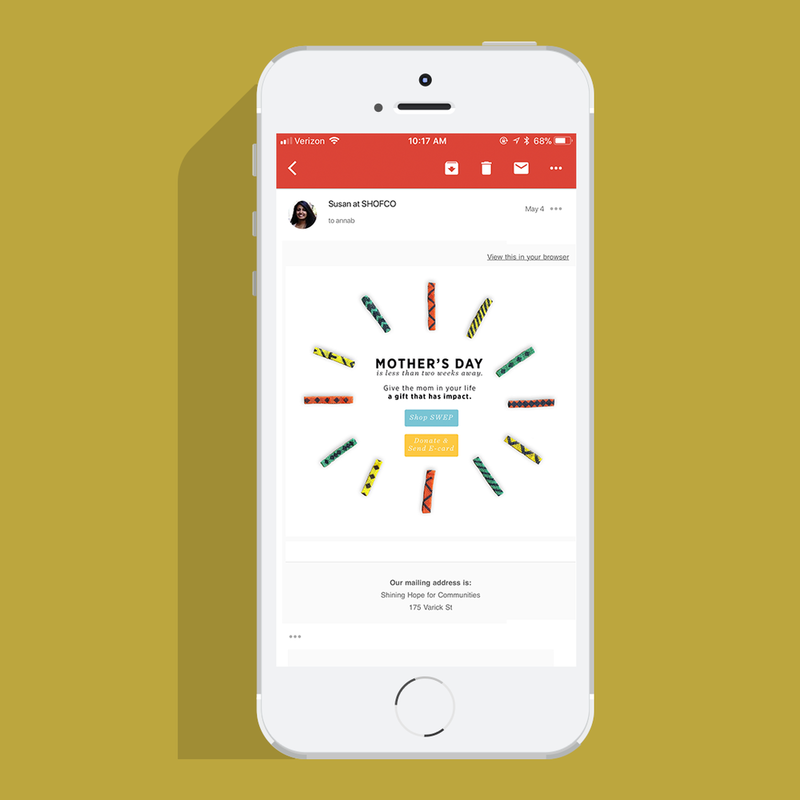 Email design for Shining Hope for Communities' (SHOFCO) Mother's Day 2017 campaign. 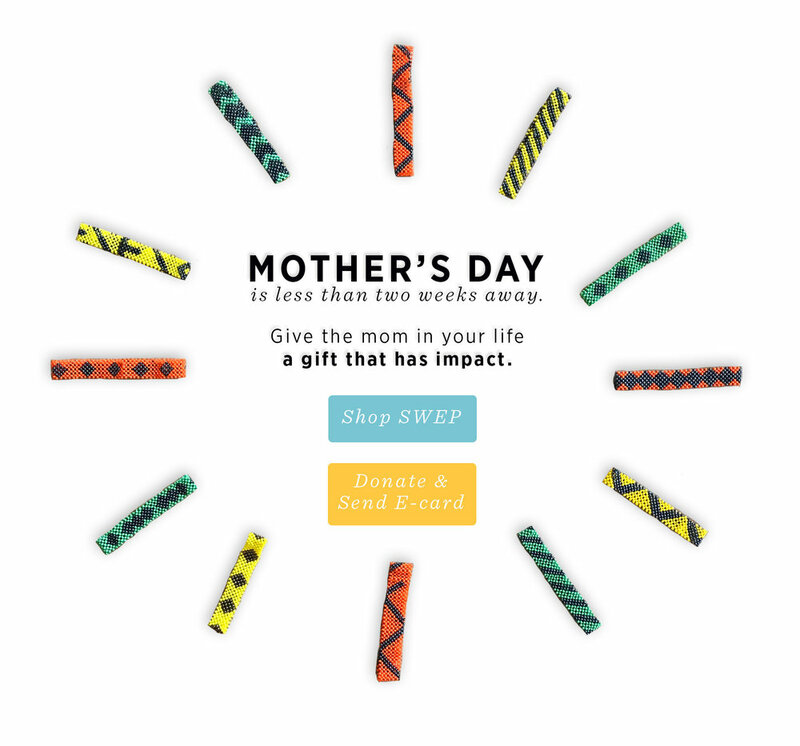 SHOFCO sells SWEP - beaded jewelry, purses, wallets, bowls, and other accessories - made by impoverished women in Nairobi, Kenya, giving women a chance to work for a fair wage and support their families. For this campaign, I came up with the creative direction and concept to use SWEP bracelets to call attention to the email's call to action.